YPSA organized a local level advocacy meeting on “Better Sexual and Reproductive Health & Rights for Young People Affected by HIV” with GOs, NGOs and Civil Society at the conference room of Civil Surgeon Office, Cox’sbazar on 23 June’14. YPSA has been implementing Link UP project with the support of HASAB Consortium. The goal of Link UP is to contribute to reduce unintended pregnancies, HIV transmission and HIV-related maternal mortality amongst young people affected by HIV. Dr. Mukhlesur Rahman Khan, Civil Surgeon of Cox’s bazaar was present as chief guest in the Meeting. Dr. S. M. Abu Syed, UH & FPO of Ukhiya, Dr, Suchinta Chowdhury, UH & FPO of Moheshkhali, Dr. Akhtterul Islam, UH & FPO of Ramu, Dr. Priya Bardhan Barua, UH & FPO-Pekua, Dr. Ranjan Barua Rajan, In charge, UH & FPO, Sadar Cox’s bazaar, UchaPrue Marma Senior Health Education Officer, Dr.Imongprue Chowdhury, Senior Medical Officer, WHO, Dr Aungsaprue Chowdhury (DMCHIO), Dr. Usaswee (UNICEF),), Dr. Md. Shahidul Alam (MODS-Teknaf), Mr. Ariful Kabir Sujan, DNSO, UNICEF, Shigeo Kanesaka, JICA, Md. 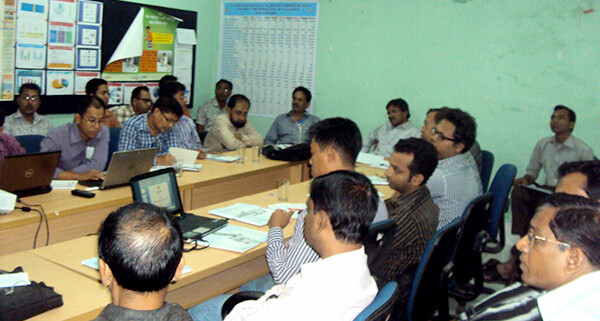 Saidul Islam, District Manager of BRAC and many others were present in the meeting. Mr. Syed Assraf Ullah, Coordinator and M&E Officer of YPSA-Link project presented the keynote paper on YPSA-Link Up program in the meeting. Link up is the multinational (Bangladesh, Myanmar, Ethiopia, Uganda and Burundi) program which is funding by Dutch (Netherland) Foreign Ministry-BUZA. Link up has been implementing in Bangladesh by a consortium comprising HASAB-linking organization of The International HIV/AIDS Alliance (IHAA)-the lead organization, Marie Stopes Bangladesh (MSB) and Population Council (PC). By ˜linking up we will make a significant contribution to the integration of vital SRHR interventions and will generate important evidence to aid the broader SRHR/HIV integration movement. Link Up will bring SRHR interventions to existing community based HIV programmes and create linkages with public and private SRH providers. Chief guest Dr. Mukhlesur Rahman Khan said that Cox’s bazaar is most vulnerable area for sexual diseases like STI and HIV along with drug addiction among young people. The vulnerability is greater here because due its border area and tourism. He thanked YPSA for starting the initiative such as Link Up program in Cox’s bazar. He promised to provide necessary supports to YPSA for the successful implementation of the Link Up program.